Magnus aircraft, the well known Hungarian composite aircraft company, based in Pecs-Pogany, unveiled its latest ULPower-ed aircraft at Aero Friedrichshafen this week. 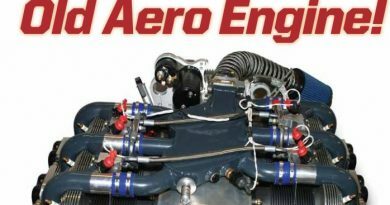 The side-by-side sleek machine is powered by a UL260iSA, 107hp Aerobatic engine, and there is talk of offering a UL360iSA version too! Hercz and Budai from the Magnus factory have both flown in the plane, and absolutely love it. 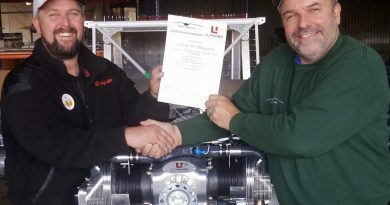 It is always fantastic to see the passion for a product amongst the staff of any company, and we wish both of these budding pilots and the whole team at Magnus every success with their new ULPower range of aircraft. 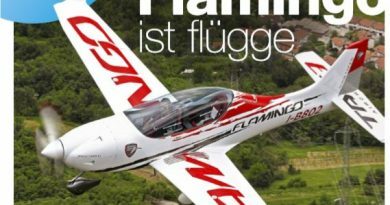 ULPowered Flamingo takes to the skies….